A total of 53 students from MMTC competed in Bangor. Fifty-three students from Mid-Maine Technical Center competed in 31 competitions March 8 and 9 at the SkillsUSA Championships hosted by Eastern Maine Community College and United Technology Center in Bangor. More than 900 students representing 23 career and technical schools throughout the state participated in the SkillsUSA Championships. 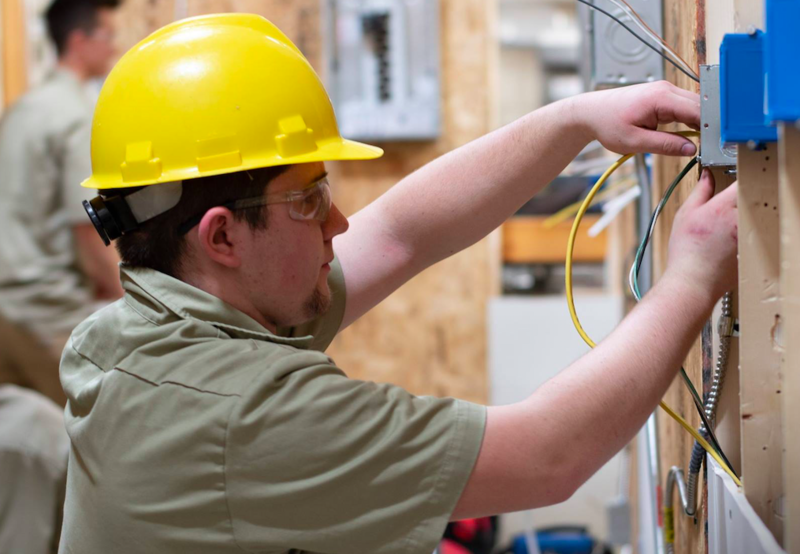 The SkillsUSA Championships is sponsored annually by the Maine Chapter of SkillsUSA. The Gold Medal winners will represent the State of Maine in the National SkillsUSA Championships, which will be held June 24-28 in Louisville, Kentucky. Hunter Dusoe & TJ Petrillo, LHS/MHS Mobile Robotics. Zachary Hartt & Kody King, LHS/MHS, Mobile Robotics. Iva Genest, LHS, Nurse Assisting.